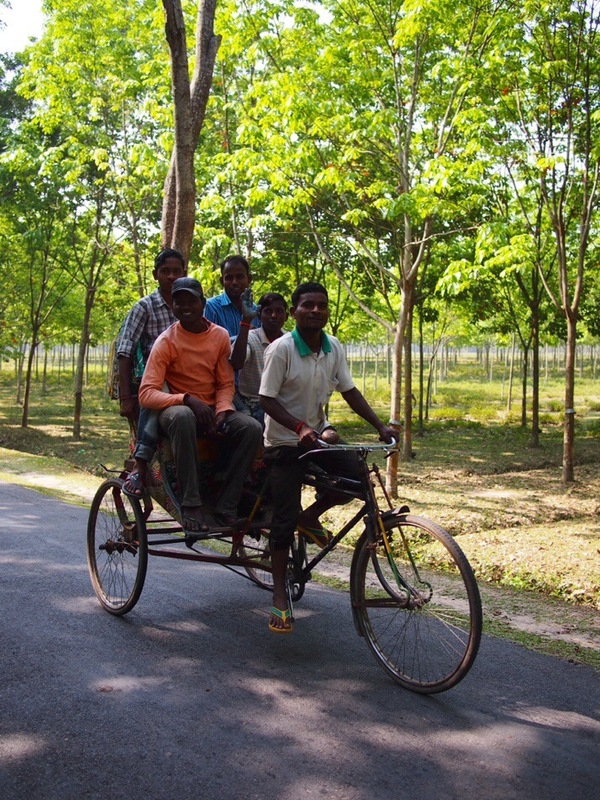 We’ve found Bangladesh to be an incredibly rewarding destination. Its sights are varied and its people are friendly, however it can also be challenging and tiring, and there are some parts of the culture which it’s good to know about in advance. Here’s our list of top tips to get the most out of a trip to Bangladesh. 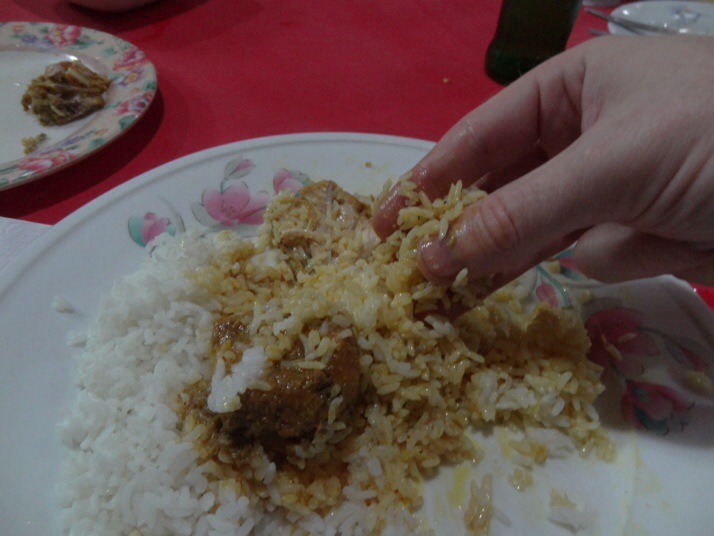 Eating is usually done without cutlery although most restaurants will give you a fork and/or spoon. If you want to try the local way (we highly recommend it! ), make sure to only use your right hand as the left hand is considered unclean (its use is in the bathroom). It’s OK to use both hands to tear off a piece of bread but don’t put anything into your mouth with your left hand. An excellent consequence of eating with the hands is that a washbasin is almost always available, and if not someone will be able to help by pouring water from a jug over your hands. We don’t usually drink mineral water as we object to paying for water and dislike the amount of plastic waste from all the bottles. In other countries we’ve boiled water or refilled our bottles from filtered water in the place we were staying. We boiled some water in Dhaka and although it didn’t make us ill it tasted really bad so we were pushed towards mineral water for our stay. Most hotels provided a large bottle in the room although it’s a good idea to check that it is sealed as some hotels refill bottles from the tap. When giving or receiving anything (money, bill, shopping, gift…) use your right hand (similar reason to above). We found this one needed quite a bit of concentration, especially when trying to take whatever we’d bought from the vendor and pay at the same time! 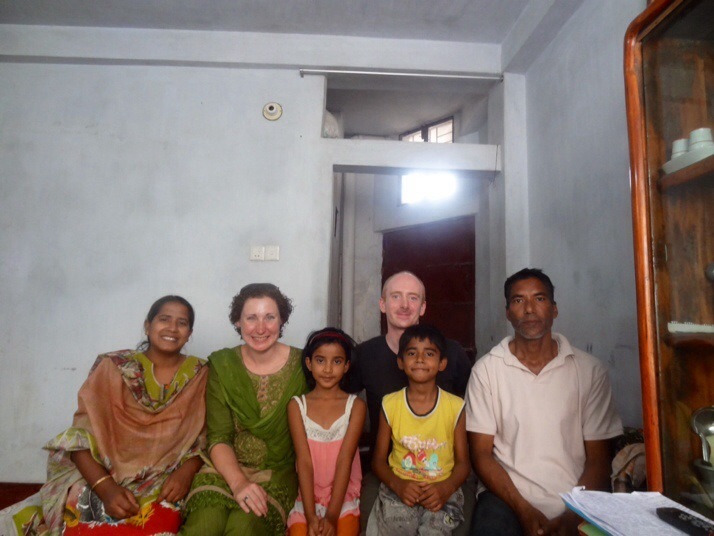 You won’t have much choice about talking to people – Bangladeshis are incredibly open and friendly. Be patient with people, everyone wants to say hello, and we found that shopkeepers were rarely trying to sell us something, often they just wanted a short chat and a photo of us with them. It’s really easy to take photos of locals too, if the market vendors aren’t calling out for you to take their photo then just waving your camera and smiling is generally enough to get their agreement. We had some great experiences by agreeing to accompany locals places when usually we might have been a bit more reserved. Hasan, a student we met in Dhaka, spent a day and a half showing us around and wasn’t afraid to just walk into places we’d normally just try to peer into if we knew they were there at all (craftsmen’s workshops, schools, onboard a docked ferry to name a few!). We met Khoken and Nilu at a tea stand and got chatting, afterwards they invited us to their home where we met their children, ate homemade sweets and got photographed many, many times as well as having a good chat. What is your country? – if they weren’t sure how to ask that they would call out country names as guesses, “Canada”, “Australia” and “Germany” all seemed plausible but “China” and “Japan” were just as common?! Most places are not set up with the expectations of foreign tourists in mind. Apart from the capital, Dhaka, where there are more options, the swankiest hotel in town will probably be fairly clean and have aircon and hot water, but in other hotels expect grimy bathrooms, hard beds and cold showers. Bringing your own sleeping bag liner is a good idea for any time when you’re not convinced by the cleanliness of the sheets although most times we found the floors and bedding looked OK but the walls had never been touched since the hotel was built. On the positive side rooms are incredibly cheap, a double room with ensuite bathroom in a middling hotel was £10 or less, and even the ‘swanky’ business hotel option was only £20-30. We already wrote about how difficult we found the whole concept and workings of baksheesh (or tips, or gifts, or bribes…) and I’m not sure that we ever felt comfortable enough with it to be able to offer advice although one useful thing that we read said not to feel pressured into giving if no service had actually been rendered. Finding wi-fi access points was a constant struggle. The only accommodation with wi-fi tended to be the higher end and business hotels, and while these weren’t really expensive it did seem a bit crazy to be paying an extra £10 per night just for internet access. Many of the smaller towns didn’t have that option anyway. Our next favoured option was to find a cafe or restaurant with wi-fi, these were thin on the ground and tended to be more expensive than (and not as tasty as) our usual eateries so we generally nursed a cup of coffee or Sprite for as long as we needed the internet! 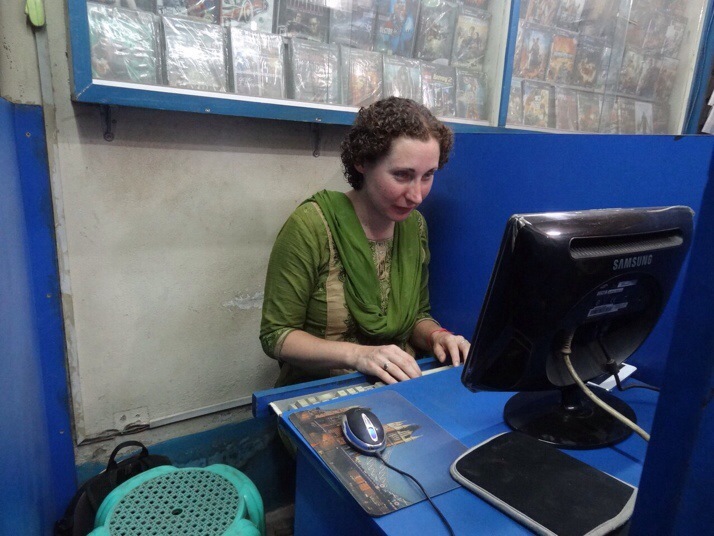 Failing that, internet cafes do exist but there weren’t many of them and they were small. Suffice to say most of our internet usage in Bangladesh was just keeping up-to-date with emails etc and falling behind with blogging and photo uploads. I suspect that a 3G SIM would be a good option if you had a smartphone with you. Mobile coverage was excellent and data packages looked to be quite cheap. we once successfully used the guide price in the guidebook – the driver was asking for Tk100, we showed him that the Lonely Planet said Tk10 and he just agreed! Seeing sights like four people in one rickshaw made us feel slightly better about getting into one with all our bags! We heard that plastic bags were forbidden by law, certainly they’re uncommon. Anyone who has seen the mounds of plastic rubbish which can accumulate in developing countries will attest to this being a very good thing. Street food was usually served either on a small plate to eat at the stand and then pay, or in a twist of newspaper to takeaway. 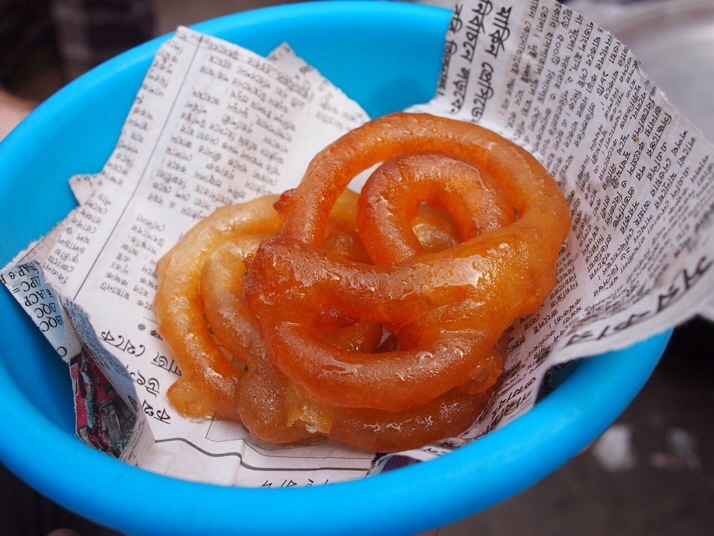 Jalebi served in a small dish on the streets of Dhaka – I guess we need to eat them straightaway then! Bangladesh is home to the kind of professional painters who no longer exist in most of the developed world. Everywhere we went we saw handpainted signs advertising goods and services, everything from the name painted above a shop’s entrance to a whole wall the size of a billboard. The rickshaws are an art form in their own right, they are colourfully decorated with paintings of film stars, birds, animals, even the Taj Mahal. I could probably write a whole post about this. 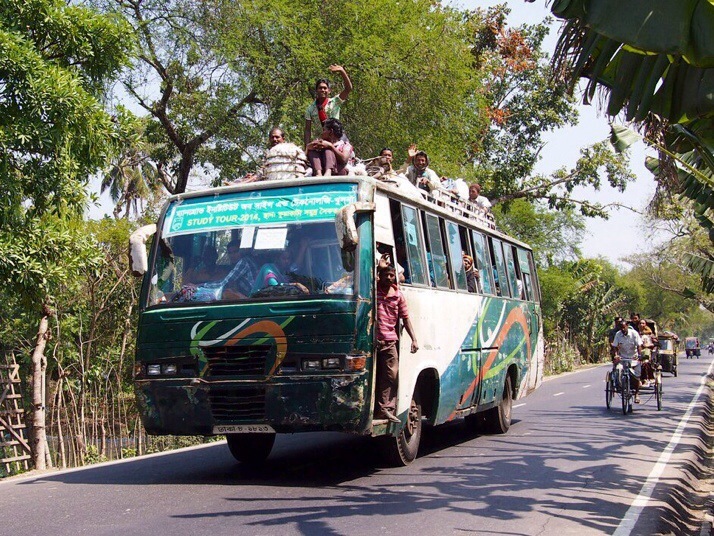 Taking buses in Bangladesh is something of an extreme sport. It can be extremely scary, bus drivers drive crazy fast, definitely haven’t been on the fuel efficiency course (both acceleration and braking is done hard), they sound the horn often, and seem unconcerned for their own safety or that of their passengers. As a side note, make sure to insist your luggage goes on the roof, the conductor only wants it to go inside the bus so that he can try to charge you the price of a seat for it. 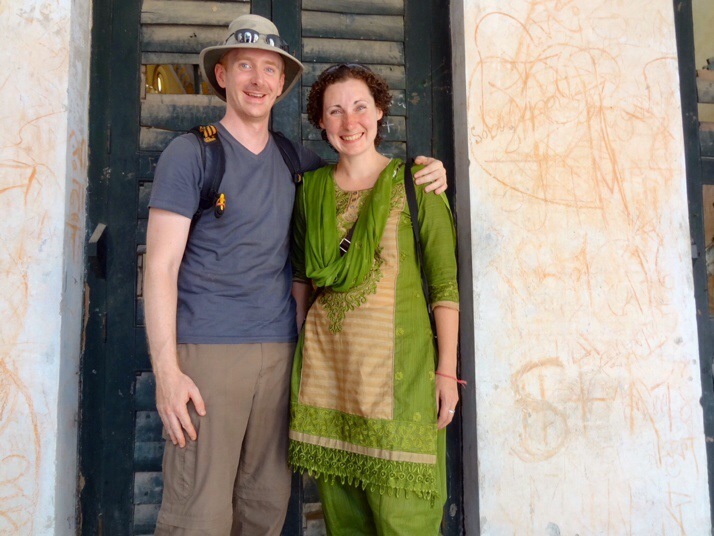 This entry was posted in Preparation, Travel and tagged Bangladesh, Tips on April 27, 2014 by Julie. Hello, I am delighted to see you enjoyed the journey in Bangladesh, and your appreciation about Bangladesh is absolutely correct, that regardless Dhaka, Bangladesh is really very beautiful country especially- Rangamati, Bandarban, Coxsbazar, Saint-Martin Island, Sylhet etc. I hope you will visit every of these. Dhaka doesn’t really present Bangladesh. These places do. You wrote some excellent lines about our citizen, they are friendly, helpful, very much social and mostly non violent (sometimes nasty politics forces them to do). I wish you will come again and take the essence of life and feel the happiness of Bangladeshi People. Bangladeshi villages are most beautiful villages around the globe. Although cities are quite mediocre, but villages are really beautiful. Thanks a lot for sharing. 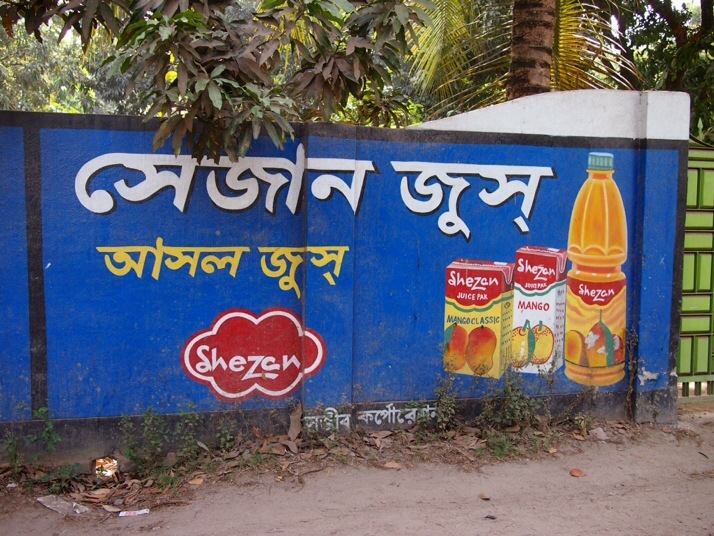 All the Tips for visiting Bangladesh is really informative. I really loved it But have missed visiting Chittagong Patenga and some Nice village. I have recently traveled Bangladesh. Now Bangladesh too much changes more than 2014. Overall Bangladesh is the more beautiful country. You can go to visiting Bangladesh again for a new look in winter. Thanks Julie for visiting Bangladesh. Beside the natural attractions, what is most enlighting fact of Bangladeshi culture is; people from any religion get mixed up and participate in different religious events like Puja and Eid. What is 23 + 9 ?